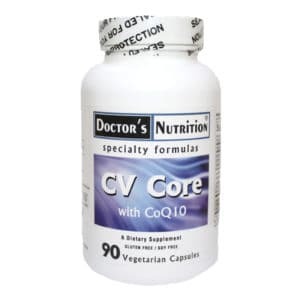 CoQ10-DMG is a dietary supplement to support heart health and energy function. Co-Enzyme Q10 is a vital nutrient for the formation of Adenosine Triphosphate (ATP), the basic energy molecule used by every cell. It is found in the mitochondria, where energy is made. Hundreds of mitochondria are present in each cell with the largest concentration of mitochondria in “high energy” organs such as the brain, heart, muscles, liver, kidneys and pancreas. Q10 is also an important antioxidant within both the mitochondria and lipid membranes. It is located exactly where the free radicals are generated (in the mitochondria) during the oxidation of nutrients and the production of ATP. 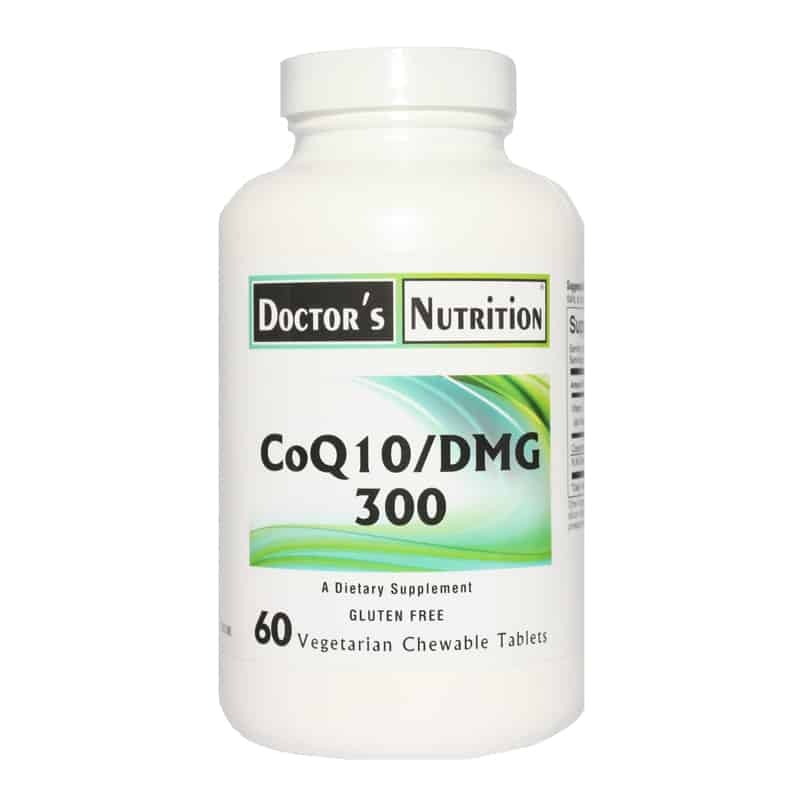 After age 35 the body’s natural production of CoQ10 declines, so supplementing with Q10 helps to support energy production, circulation, cardiovascular function and stamina. DMG is a natural substance found in low levels in the body and in certain foods like meat (liver), beans, seeds and grains. Over 30 years of research has shown that DMG acts like a cellular catalyst improving the efficiency of the major pathways of the cell. As an intermediary metabolite in the methylation pathway, DMG provides useful building blocks (methyl groups) required for the production of vitamins, hormones, neurotransmitters, antibodies, nucleic acids and other metabolically active molecules. Research and studies have shown that DMG enhances endurance and stamina, boosts cellular energy levels and improves oxygen utilization. DMG has also been studied for its antioxidant benefits. DMG supports mental and physical performance by helping the body adapt to various forms of stress such as aging, poor oxygen availability, free radical damage and a weakened immune system. Other Ingredients: mannitol powder, stearic acid, xylitol, silicon dioxide, vegetable stearate, citric acid, natural orange flavor and natural pineapple flavor.